Artificial Intelligence, chatbots and augmented reality have all been introduced to the retail industry as solutions that provide enhanced services, personalization and experiences for customers while at the same time providing tools for better management decision-making. These technologies certainly seem to be the natural extension to the digitally connected consumer. The new generation of shoppers - Generation Z - were born and raised surrounded by technologies that have influenced a digital revolution in the retail industry. As sales continue to migrate online, retailers are feverishly searching for ways to transform and invest in technology to address shoppers’ desires and increase sales both online and in-store. While the latest tech innovations hold tremendous potential for the industry, retailers should not go “all-in” on the latest and greatest without a thoughtful strategy. Companies need to consider the benefits of their investments in these newer technologies while being mindful of existing solutions that have already proven to drive results. Hello, How Can I Artificially Assist You? Big name retailers are investing millions in the latest AI technology to make shoppers’ experiences more personalized and engaging. Last year, Macy’s introduced its “Macy’s On Call” application, which provides customers with an in-store shopping assistant that uses natural language processing to directly answer questions about specific products, departments and brands. In terms of online initiatives, Sephora created an AI enabled application that focuses on replicating the in-store experience online to help shoppers test and identify what products would work best for them using facial recognition and visualization technology. Despite these advancements, a First Insight consumer study found that 60 percent of shoppers prefer a traditional in-store experience especially in regard to dressing rooms, where they can physically try on merchandise and ask questions directly of sales associates. While technology removes the manual time and effort that goes into trying on clothing, customers still value being able to see the garments first hand, feel the fabric for themselves, and experience how merchandise fits them before they leave the store. Other retailers are utilizing AI to create chatbots or AI assistants that provide a personal guide to shoppers navigating brick and mortar locations. 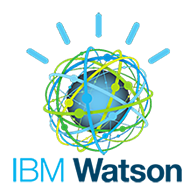 IBM Watson worked with Mall of America on a Facebook Messenger bot called E.L.F, which stands for Experiential List Formulator. Created in collaboration with Watson developer partner Satisfi, it helps visitors plan a more personalized experience to the shopping center by first asking questions like how much time they have to spend at the mall and what activities they prefer. The goal is to better understand, connect with and create superior experiences for in-store shoppers. While tier 1 retailers are committing to these initiatives, there has not yet been a direct correlation between these flashy new technologies and an increase in sales. Considering the current state of the retail industry, big investments in AI and applications that focus solely on improving the customer’s experience may exhibit more risk than reward for retailers’ overall businesses. Despite the excitement around AI technology, not all retailers are ready to invest in these efforts due to the high costs of research and development, paired with the distressed state of the retail industry. While the latest and greatest in retail technology can help lure customers with its interactive and futuristic appeal, there are existing, proven ways retailers can incorporate advanced technology such as machine learning into their businesses. For instance, PTC, a global enterprise technology provider, offers a platform called ThingWorx that uses machine learning to allow customers to rapidly create and deploy smart IoT solutions. Recently, First Insight partnered with PTC to develop an Optimized Line Planning solution for retailers powered by machine learning. Through the combination of various data sources such as product testing data and historical sales and purchase information, the solution helps retailers understand their customers, inform assortment strategies and create designs and line plans that will most likely succeed in the market. While shoppers may not realize these behind-the-scenes integrations of machine learning, this technology provides an invaluable resource to retailers and helps ensure customers have access to the products they want most. While AI and advanced technologies continue to disrupt the retail industry, retailers must be strategic about where they invest and how they implement these technologies. While every retailer may not have the same innovation budgets as eBay or IBM, retailers can reduce risk by taking a calculated approach and focusing on existing tech solutions that fortify the core of their businesses. Shoppers’ primary reason for visiting a retailer online or in-store is to find the products they are looking for at a price they find reasonable. If this fundamental requirement has not been addressed, all the AI and bots in the world won’t make a difference to the bottom line.